My son loves balls! 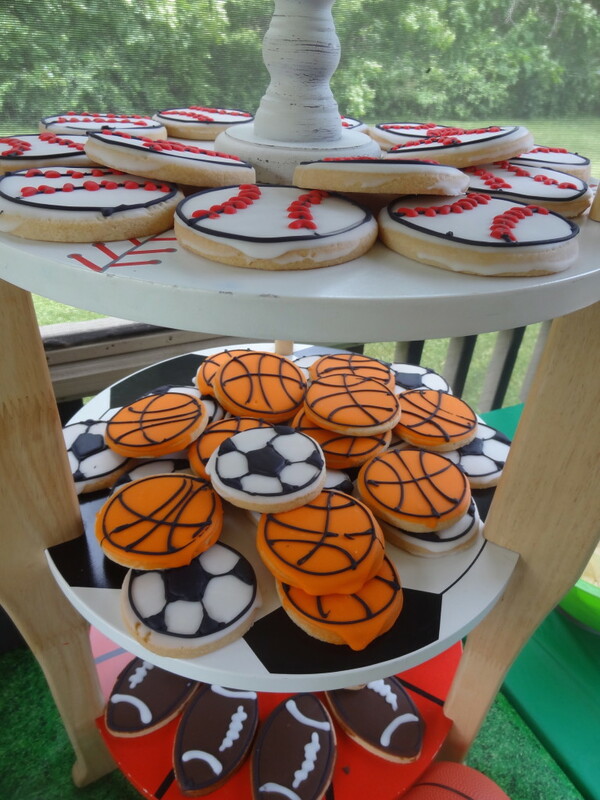 Every sport excites him, and as cliche as it is, a sports theme birthday was the only way to go! Baseball art is from Hobby Lobby, but borrowed from my sister in law:) She also lent me the 3 tiered side table that I ended up using to display the cookies on. Chalkboard signs are also from Hobby Lobby, and the hanging cardstock balls are from Party City. Stay at home mom of 3 girls and one baby boy! I have an art degree, so while I'm not working at the moment, I tend to pour my creative energy into my home. I fall asleep thinking about design and furniture arrangement. True story.